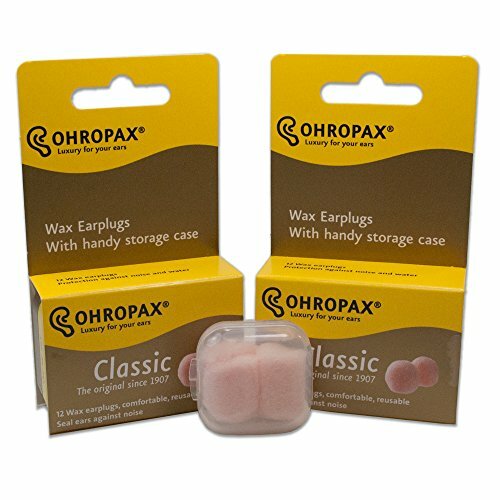 Ohropax ear plugs are made from a soft wax compound covered with cotton. They provide a comfortable fit into the ear canal while creating an efficient seal against noise or water entry. Ideal for sleep, study, travel or noisy workplaces. Swimmers and bathers can keep water out of their ears. 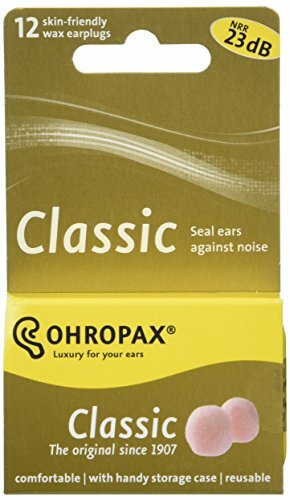 Ohropax Classic Luxury Ear Plugs are made from a soft wax compound covered with cotton. 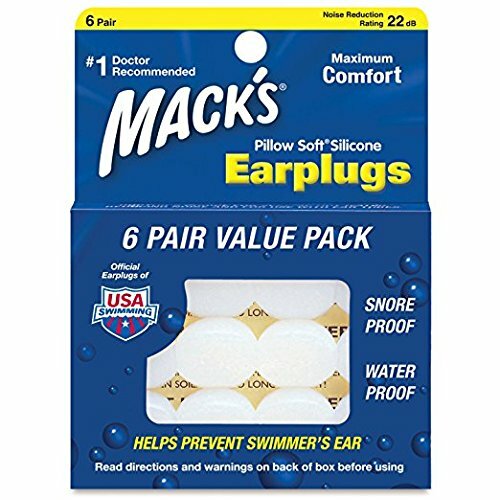 You are getting 2 packs of 12 ear plugs (24 total plugs) and a free clear carrying case that is perfect for grabbing a pair to take with you when you are on-the-go. 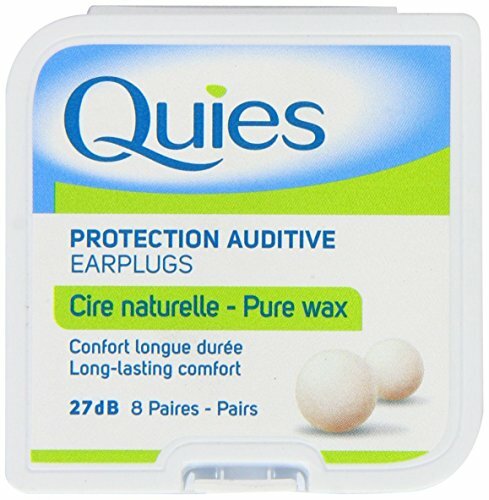 Quies Wax Ear Plugs 12 Pairs protect effectively from the noise and offer an excellent reduction of the noise (- 27 dB).Disposable after each use, they are hygienic.Quies Auditive protection wax plugs are manufactured with a mixture of natural waxes and cotton to give them an excellent maintenance in the ear.Hypoallergenic, they will provide you comfort and protection. Doctor's choice for sealing out water and reducing noise. 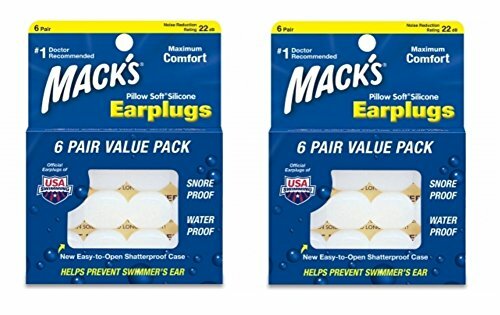 Help protect swimmer's ear. 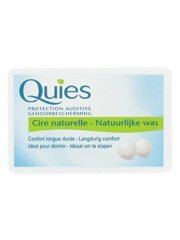 Provides protection after surgeries. Ultimate in earplug comfort. 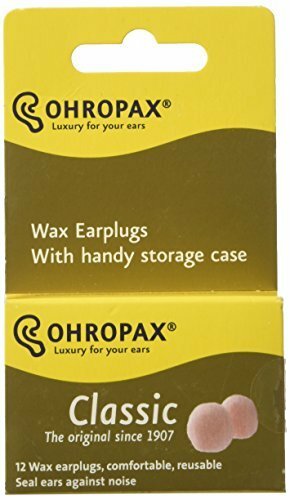 Ohropax ear plugs are made from a soft wax compound coverd with cotton. They provide a comfortable fit into the ear canal while creating an efficient seal against noise or water entry. Ideal for sleep, study, travel or noisy workplaces. Swimmers and bathers can keep water out of their ears. 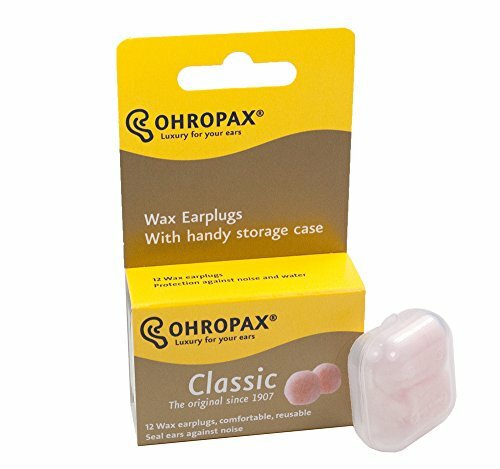 Ohropax Classic Luxury Ear Plugs are made from a soft wax compound covered with cotton. 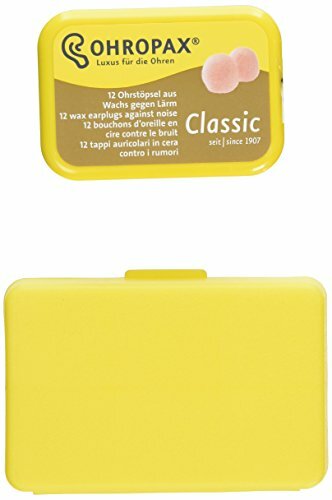 You are getting 1 pack of 12 ear plugs (6 Pair) and a clear carrying case that is perfect for grabbing a pair to take with you when you are on-the-go.